Isn't my ATS Reporting Enough? You need to connect your ATS to other sources to answer key business questions. 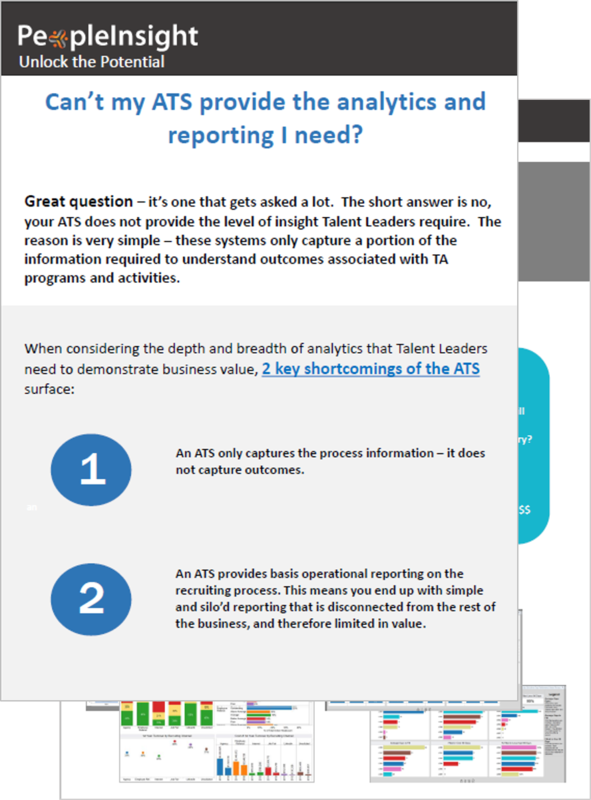 The short answer is no, your ATS on its own does not provide the insight Talent Leaders require. The reason is very simple – these systems only capture a portion of the information required to understand outcomes associated with TA programs and activities. An ATS only captures the process information – it does not capture outcomes. An ATS provides basic operational reporting on the recruiting process. This means you end up with simple and silo’d reporting that is disconnected from the rest of the business, and therefore limited in value. To measure against objectives and demonstrate value to the business, Talent Acquisition needs more than an ATS can deliver on its own – it needs insight that comes from the connection of process and outcomes data. 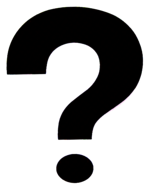 Can your ATS answer these questions? What is our On-Time fill rate for key positions? What is the quality of hire by LoB and Job Category? By Recruiting Source? What is the $$ impact to the business for every High Quality Hire? If Quality of Hire increases by 5% what is the $$ impact to the business? What is the 1st year turnover rate by LoB and Job Category? What is the $$ Return of our Referral Program? What is the ROI for each of our Recruiting Sources by LoB/Job Category? To get to holistic insight and to measure against business outcomes, you need to connect the dots – there needs to be integration across disparate systems. 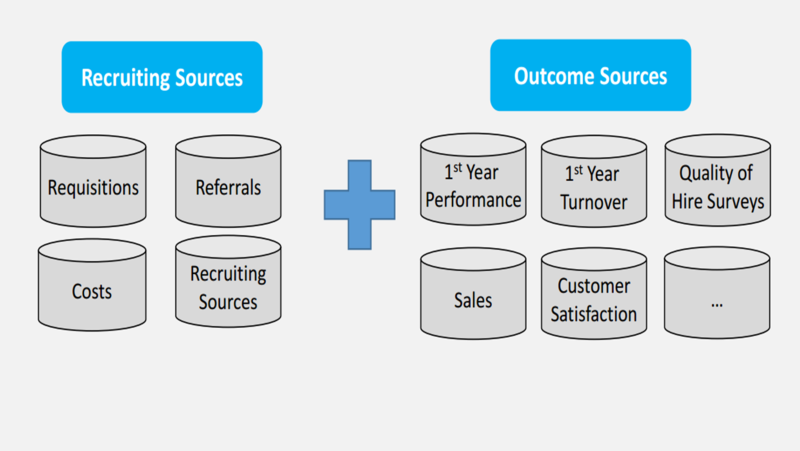 This means stretching beyond the transactional data in recruiting sources and systems and making connections with outcome sources. When outcomes are connected to the activities of Talent Acquisition, this has the power to completely transform the way Talent Acquisition thinks, acts and feels. Suddenly, every activity is tied to business objectives and has meaning in connection with tangible outcomes. Continuing on without connecting the dots, means working in a silo and working blind – not really knowing how your efforts are contributing (or not) to business outcomes. The payoff for piecing together the data and working towards a holistic and objectives-driven view will be transformative for Talent Acquisition. 2. Connecting Talent Data to Business Outcomes (Results) Data.